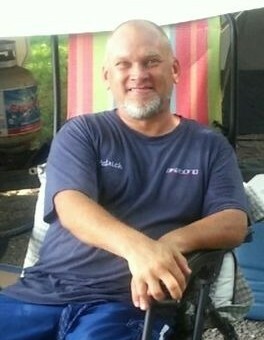 John Patrick Tinsley, 44, of Glasgow, KY passed away Wednesday, August 1, 2018 at his residence. The Louisville, KY native was an employee of LSC Communications and member of Lyons Missionary Baptist Church. He was a son of the late Glenn Allen Tinsley and Glenda Eileen Parrish Tinsley. 3 special children: Kaitlyn Reece, Noah Reece and Nathaniel Reece. Funeral service will be 11:00 a.m. Tuesday at Goad Funeral Home with Randy Richey and Owen Leitsch officiating and burial in the Holland Baptist Cemetery. Visitation will be 3:00 pm to 8:00 pm Monday and after 7:00 am Tuesday until funeral time at Goad Funeral Home.